Bauma 2019 will be held from the 8th - 14th April in Munich, Germany. As the world's leading construction equipment exhibition, ALLU will be using the show to exhibit and demonstrate leading members of its ranges, outline new features of the equipment, and launch its latest developments aimed at further enhancing customer business operations. The patented unique TS blade structure has been developed by ALLU which has long been a pioneer developing techniques of this kind. The TS blades are a modern development for the screener / crusher market, with ALLU set to deliver new levels of efficiency and productivity with the new blade variations. This new blade structure will further enable customers to utilize their ALLU Transformer in more than way. The ALLU Mobile App is the latest development of ALLU's state of the art communication system. This provides an intelligent digital solution for customers and operators to obtain accurate and timely operational information, thereby maximizing safe and productive use of ALLU equipment. Through easier and improved contact functionality, customer support is also enhanced through the new features of the App. Allu's D Series Transformer processing bricks. The ALLU stand will be located in the open area north of the extensive show ground, right next to the north / east entrance. The purpose designed stand will enable ALLU to show visitors how ALLU equipment and solutions are able to transform business operations, delivering improved productivity, efficiency and profitability. The entire range of Transformer models from the smallest DL series to the large M series will be exhibited, and in addition, the stand will show the ALLU Processor 500 HD and a selection of ALLU Compacting Plates. As well as a static display, there will be live demonstrations throughout the show with ALLU Transformers and compactors. 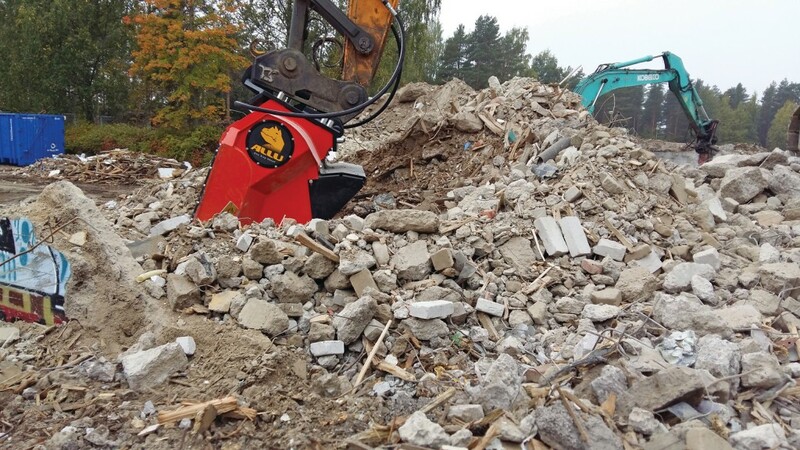 The developments and demonstrations show that with the widest range of attachments on the market, the ALLU equipment ranges enables businesses to choose the right piece of equipment to meet their very particular requirements. ALLU looks forward to showing at first-hand how its equipment and expertise can help any business transform more than just its profits.